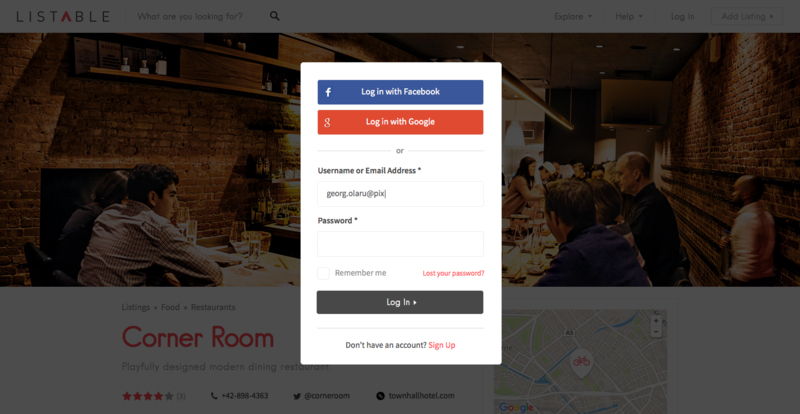 Enable Social Login to reduce friction, increase conversion rates and improve your sales. Make account access easy and seamless, so your customers don’t need to remember yet another username and password. You must first install and activate the Login with Ajax (free) plugin. We’re using it to show the login form in an overlay box, not the regular WordPress login page. *Note that if you want to use the Email Address for login, you need the WP Email Login plugin too. You can place a Log In button in the Navigation menu by going to Appearance → Menus → User Menu section in the left sidebar and add the Log In item. There are many solutions and plugins that provide Social Login integration for your site. Even if many of them start with a free plan, there is usually a user registrations limit. Once the limit is crossed a monthly fee applies. Besides those, there is the WooCommerce Social Login premium plugin which offers the same functionality (and even better integration with WooCommerce) with the difference that its price is a one‐time fee. If you ask us — we would go with the WooCommerce Social Login (used on the demo too) as we’re providing some basic custom styling for it, but feel free to explore any of the free solutions also. For in‐depth documentation check out the official WooThemes Social Login Documentation. Basically, you only need to set up the provider list and we will automatically add it in the Log In modal.